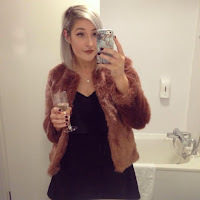 I would describe my blog as a fashion, beauty and vintage blog, but it has been lacking in the beauty side of things recently so I've been trying to post a few beauty reviews here and there to spice it up a little! As a student studying Fashion Design day in and day out, it's quite nice to step back from it all and appreciate doing the little things like your make up for a night out! The course has been really stressful lately and I've been to busy that I haven't even had time to do my hair or make up properly in ages, so when we have the occasional Friday night out it's really fun to get to try some of my products I've had sitting in a make up bag waiting to be used! 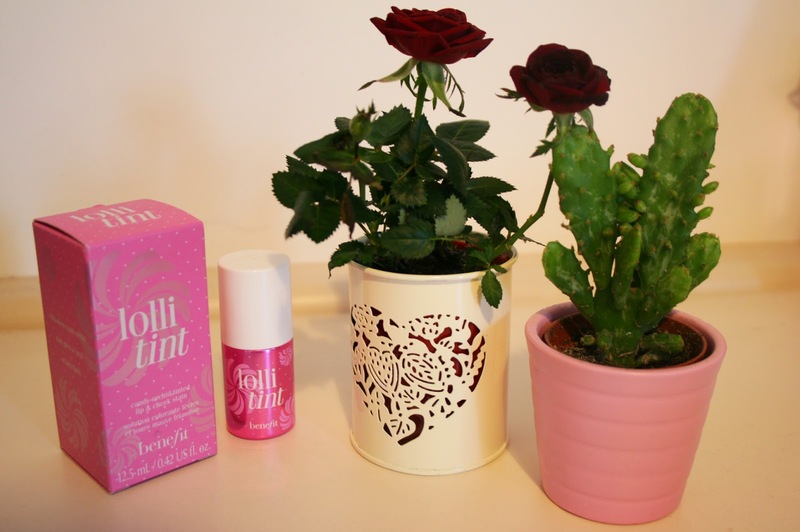 The product I've pulled outta the make up bag today is Lolli Tint from Benefit. It is a 'Candy Orchid Tinted Lip and Cheek Stain' which they recently released for S/S 14. This is actually the first cheek or lip stain I have ever owned, and I'm loving it so far. The first thing I noticed was how lovely the packaging itself was! Benefit always have gorgeous packaging, and I must admit that even though I'm not always the girliest girl, pink is definitely my favourite colour! The instructions are quick and easy, literally just brush a little of the product onto your cheek or lips and quickly blend in. You can layer the product up for a darker look if you wish, but I usually find that just one little stroke is enough to give you a lovely colour. I love the words 'flirtiest flush' and 'dreamy sweetness' in the description of the product, and I most definitely agree! The product itself almost looks like a little nail varnish pot and brush. I love the metallic finishing on the pot itself and it is nice and small so that you can easily fit it in your handbag. The colour itself actually happens to be the Pantone colour of 2014 - Radiant Orchid, which is a gorgeous purple-y pink, slightly more purple than Benefit Posietint. 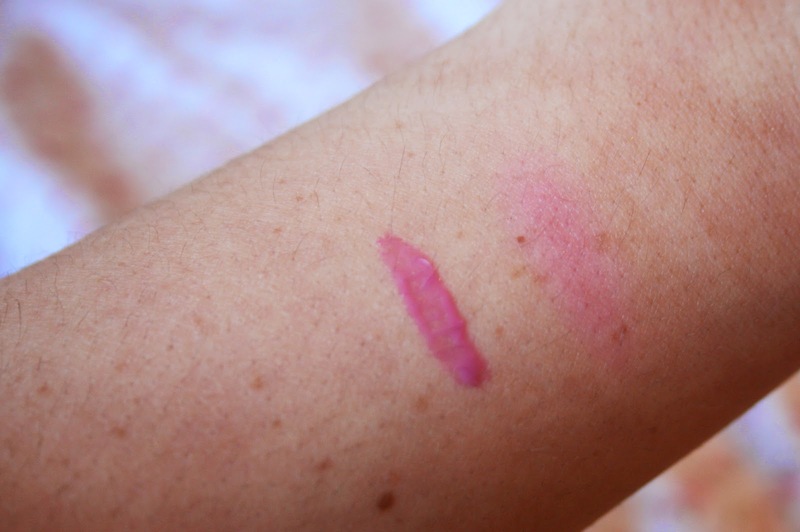 Here is a swatch of the product on the skin, and the product rubbed in. This swatch is on my arm so it will look slightly different on your face and depending on your skin tone, but you can see the lovely light purple shade that is left once it has been rubbed in. 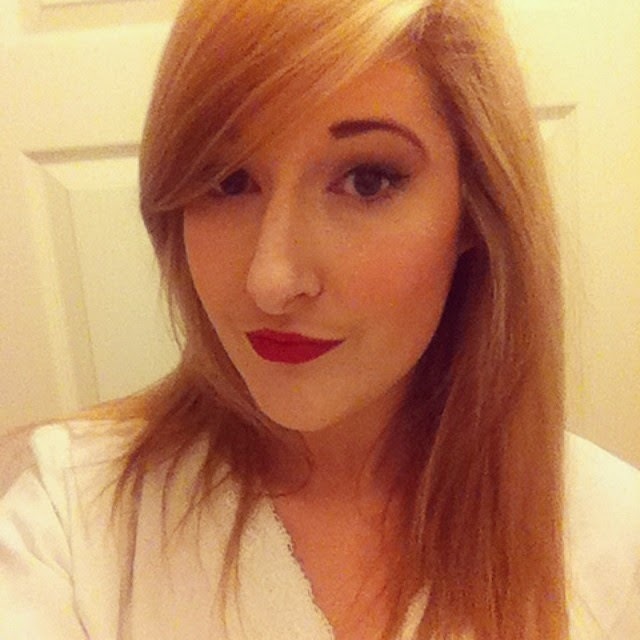 This photo was taken before a night out recently where I was wearing the Benefit Lollitint just on my cheeks. You can see even from a distance how lovely the colour is, and it has quickly become my go-to blusher/tint! It isn't the cheapest product at £24.50, but anyone who has bought a liquid product from Benefit before, will know that it literally lasts for about a year, or more, so I would definitely say that it is worth the investment, and that I would repurchase it again! For those of you who don't follow me on instagram (@floraldanielle), I have been starting to dye my hair blonder for the Summer! 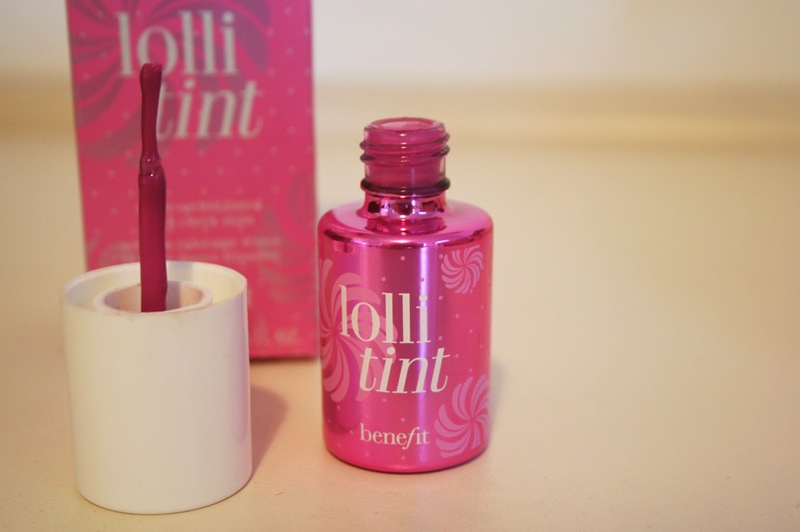 Do you own any of the Benefit tints? Would you invest in Lollitint? The packaging is adorable and it looks lovely on you. I always have trouble using these type of products, it feels like when I apply it on my foundation would end up moving around. Does that happen to you or is it just me? I only use a teeny bit and make it go as far as it will! Seeing your post I remembered that I have to use more often my Benetint, which I kind of forgot about it as I descovered new goodies. I like how this color suits your skin tone, your cheecks look so fresh. I really like your blog, it would be a pleasure for me to follow each other. The color is gorgeous on you! I have been so fascinated by liquid blush, but it worries me because I read a lot of bad things about it not lasting long. I've only tried the Benefit tints at the counter and the Chacha tint is highest on my wishlist!! they're amazing products!!! nice review!!! I love the tints that Benefit do, they really offer something usable for multiple purposes. Oh I love these lip tints! I never wear lipstick but I could definitely wear a lip tint, this is gorgeous on you! I can already tell that my OH would love those colours! My teenage daughter has been pestering for a trip to Benefit this week so I will check these out. That cheek colour is just right on you. That's a lovely colour, and the dual use means it would be great to pack for a summer holiday. The pacaking looks really cute and the color is very flirty indeed. It's great that it is 2 products in one, easier to carry with you for a later touch up to your make-up. I've heard a lot of good things about the Lollitint cheek and lip stains. The colour looks lovely on you. The price seems to balance out with the amount of use you get. It sounds like a great product, love the colour. Gorgeous colour. 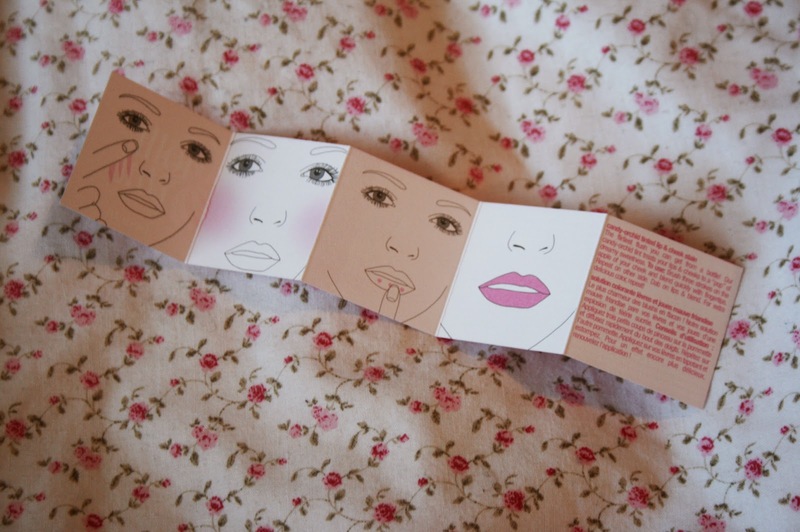 I used to have another Benefit lip & cheek tint, and it was such a good product! The colour is lovely on you. Looks quite natural. Colour looks lovely on the brush, and even lovelier on you! Wow, it looks really pretty. And of course the packaging is very cute.